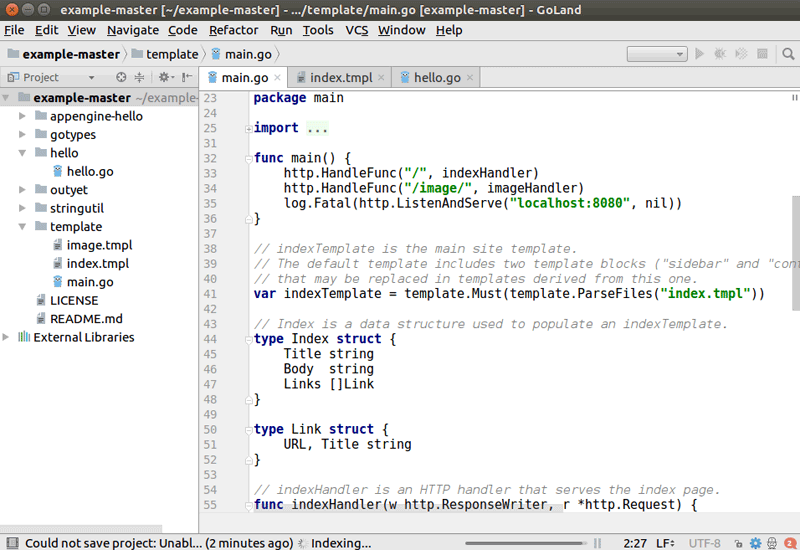 First, download the Gogland Linux installer from the Jetbrains website. Next, cd into the bin directory of the installation folder and execute the goland.sh file. The command will launch the graphical installer of the Gogland Editor. In order to open Gogland from the Ubuntu application menu, you need to Create desktop Entry. To create desktop Entry go to tools menu and select Create Desktop Entry. Jetbrains Gogland does not have a free community edition, after the 30 day period you need to activate license to continue the IDE.